This “Blessing of the Home” from Lily Art makes a beautiful addition to any home. The gold glass artwork has a large pomegranate in its center with beautiful warm colored stripes filling it and a matching leaf. 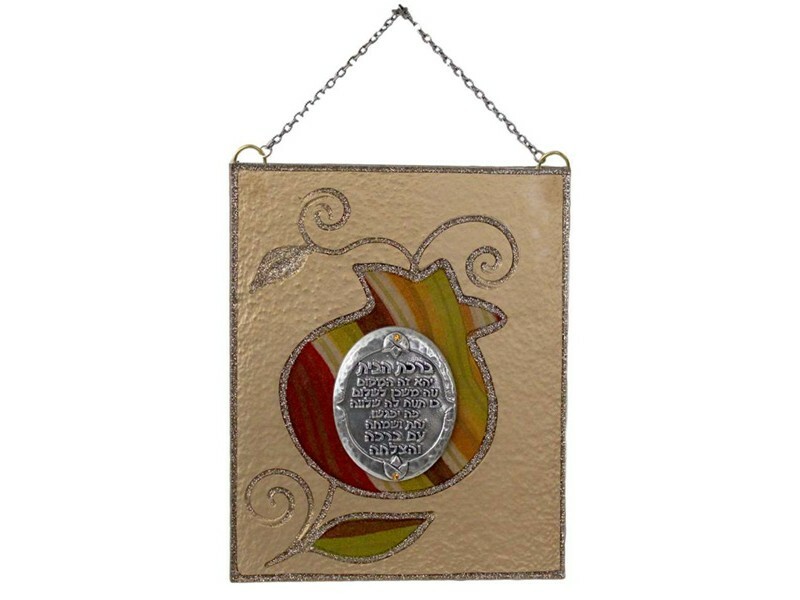 In the middle of the pomegranate there is a silver colored plate with the a blessing in Hebrew for peace and prosperity to reside in the home. The translation for the plaque is ' --------' The plaque comes complete with an attached silver chain, ready to mount on a wall.